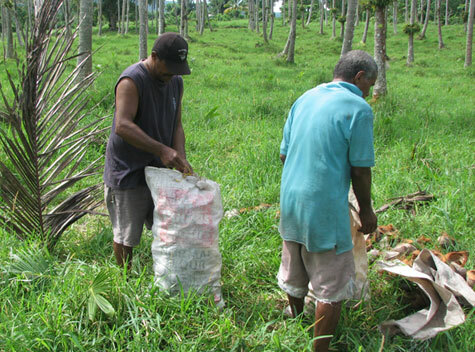 Organic Fiji create products with certified organic virgin coconut oil from the Fijian Islands and use the husks to generate renewable, sustainable energy. Organic Fiji was formed in 2003. 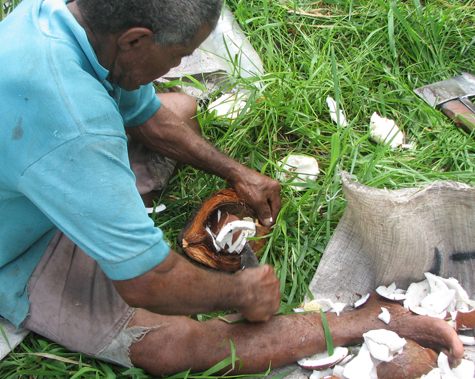 Bob Rogers was on a family holiday Fiji and learn’t about the beneficial properties of coconut oil. 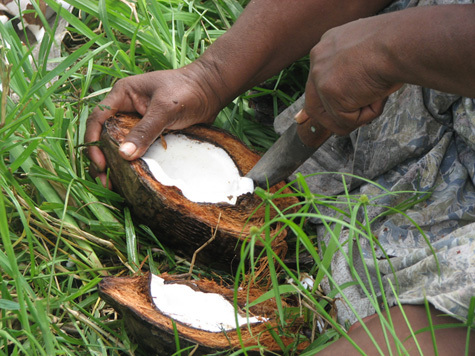 The islanders attributed the health of their skin to the coconut oil used in their body products. When he returned home, Bob began importing the coconut oil to America and developed a range of products based on the Fijian coconut oil. The owner of Organic Fiji UK got involved in the company through using their products. They were visiting family in California and were given some Organic Fiji oil to help ease a skin condition called keratosis pilaris. The condition cleared up very quickly, so they wrote a testimonial for the company. Organic Fiji then asked them if they’d like to be a UK seller…and so Organic Fiji UK was established. “We owe a lot of our success to being as upfront and transparant as we possibly can about our products and their ingredients. It’s integral that consumers trust us as a brand, so we strive to make lovely products that are as organic as possible without sacrificing the performance and effectiveness of the product. Also, as a small company, we put a lot of emphasis on good old fashioned customer service. We like to be able to provide a personal touch to customers, and treat all clients the same whether big or small”. Organic Fiji create a wide range of products all based on certified organic coconut oil. These products include: sugar polish, salt polish, lotions, body oil, lip balm, soap and cooking oil. All of these products are created with the aim of sustaining the Earth’s natural resources. “Our commitment to using 100% Certified Organic Coconut Oil in all our products brings to the skin one of the most beneficial substances on earth and supports Island Communities throughout the South Pacific. 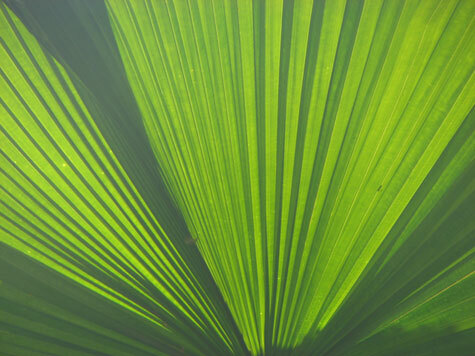 The Earth does not need any harsh chemicals to maintain its beauty, and we don’t believe that skin should either. We have mixed a little bit of science with all the benefits of nature to bring a totally natural skin care range made with ingredients of the very highest integrity”. The key ingredient in Organic Fiji products is certified organic virgin coconut oil from coconuts grown on the Fiji Islands in the South Pacific. The oil is extracted using the traditional cold-pressed method which preserves all of the nutrients in the coconut oil. The coconut meat is put in a cold press which means the coconut is never exposed to heat and therefore retains all of it’s nutrients. 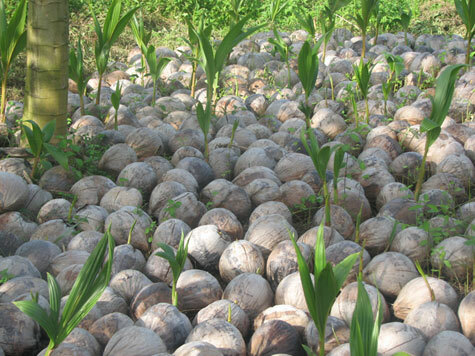 Replanting: At the plantation, the very finest of coconuts are selected for oil extraction and replanting. This means that the coconut trees are strong and healthy and therefore yield high quality coconut oil – which in turn produces high quality products with the maximum amount of nutrients. Fairtrade: Organic Fiji practise FairTrade growing to support the Island economy and community which are often over-run with poverty. They also raise awareness about FairTrade principles and like to help customers learn how to get involved. No waste: No part of the coconut is wasted. The husks are burned to power a steam turbine which powers the coconut plantation and surrounding communities with renewable, sustainable, and environmentally friendly energy. Natural, sustainable and certified organic ingredients: Their products are certified organic by USDA and Oregon Tilth – a nonprofit research and education membership organization dedicated to biologically sound and socially equitable agriculture. Ride sharing: In an effort to create less fumes and reduce their carbon footprints, Organic Fiji staff are encouraged to share rides to and from work. Those who live a short distance away are encouraged to cycle to work. Organic Fiji only use recyclable packaging made from recycled components.